The auction of a limited 1915 edition of Black Beauty has raised vital funds for Redwings Horse Sanctuary, which could pay for enough hay to feed almost 100 rescued horses over Christmas. Successful bidder Sue Day, currently living in Suffolk, was recently presented with the beautiful book by Redwings’ Chief Executive Lynn Cutress following the end of a silent auction that ran from July to November. 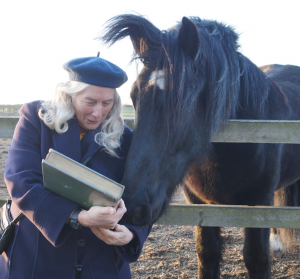 The rare hardback copy of this beloved novel, complete with colour illustrations by famed equestrian painter Lucy Kemp-Welch, was generously donated to Redwings by a supporter who asked that it be sold to help horses in need. Author Anna Sewell was born in 1820 in Great Yarmouth, Norfolk, and wrote Black Beauty while living in Old Catton, north of Norwich. Sadly she died just a few months after the novel’s publication in 1877. The book was placed on public display at the Museum of Norwich at the Bridewell over the summer as part of its own special exhibition celebrating the 140th anniversary of the publication of Black Beauty, which was marked on 24th November 2017. Redwings also provided fun talks and activities at the Museum for families about horse welfare during the school summer holidays and even lent a life-sized model of a black horse for the exhibition. Black Beauty fans were invited to submit their silent bids for the book at the Museum or log them with Redwings, with the coveted edition being awarded to the highest bidder at the end of the auction. Sue said she was first read the book by her mother and she has held the characters of Black Beauty, Ginger and Merrylegs close to her heart ever since. 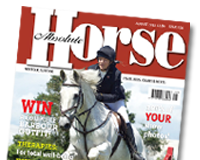 A long-term horse owner, life member of the British Horse Society and member of the British Driving Society, Sue runs her own business providing horse drawn carriages for special occasions and operates horse-drawn boats on canals. She has recently set up a society in celebration of Anna Sewell’s life and passion for animal welfare, which aptly began on 24th November. “I want this book to be for the society, to be shared with those who have a similar interest in Anna Sewell’s life,” she said. Redwings, whose headquarters are south of Norwich and has five visitor centres across the country, cares for over 1,500 horses, ponies, donkeys and mules every day nationwide. The money raised from the auction could pay for thorough health checks for 20 new arrivals at the Sanctuary. Redwings’ Chief Executive Lynn Cutress said: “We’re incredibly grateful to Sue for her wonderful bid, which will help us continue to provide vital care for our rescued residents. With 2017 marking the 140th anniversary of Black Beauty, this stunning book was a most fitting donation and we’re so pleased it has found a new home where it will be treasured. We are delighted to announce that Suffolk Junior Academy Member, 10-year-old Ryan De Sousa from Newmarket in Suffolk has become Novembers’ NAF Shining Star. 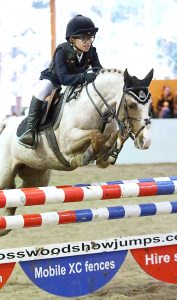 With all British Showjumping Junior Academy Members eligible for nomination, it was Ryan’s work ethic and attitude towards his riding career that shone through.